Home / JOB VACANCY / BONITE BOTTLERS LIMITED (BBL) ANNOUNCED TO EMPLOY DRIVER. BONITE BOTTLERS LIMITED (BBL) ANNOUNCED TO EMPLOY DRIVER. Bonite Bottlers Limited (BBL) is Franchise Company operates under lances of Coca Cola Company in USA it deals with bottles and distributes twelve (12) Coca Cola brands of drinks. A subsidiary of the IPP Group of companies, Bonite's main plant is located in Moshi in the Kilimanjaro region of northern Tanzania. BBL also bottles its own brand of bottled water: Kilimanjaro Drinking Water. The company operates in 4 major regions of Northern Tanzania - Kilimanjaro, Arusha, Manyara and Singida. BBL has over 450 permanent employees, most of them men with only 18 women. Over 300 of the employees are based at the main plant. BBL also employs casual employees, some of whom are employed for periods of up to 6 months. In the peak season (August to Jan/February), there are approximately 400 casual employees and in the low season the number declines to about 200. 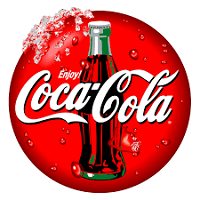 Varieties of Coca Cola brands produced by BBL company such as Fanta Orange, Fanta Passion, Spaleta Pinute, Spaleta Citrus, Stoney Tangawizi, Coca cola, Light Coke, Sprite, Bitter Lemon, Seven Up, Fanta Black Currant, Kilimanjaro Drinking Water, Crystal, Club soda, Ginger ale, Tonic. CLICK HERE to see the available position and follow the application instructions given.